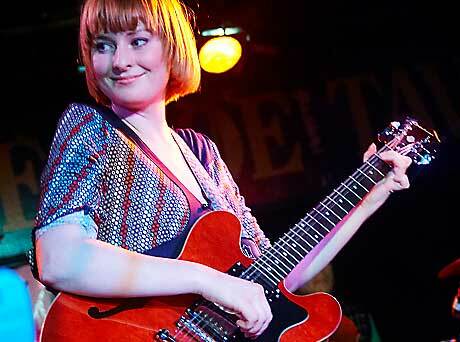 Jenn Grant is yet another promising young songbird to come from that veritable treasure trove of talent that is Nova Scotia. Her set showed why close attention should be paid to her forthcoming debut album. Backed by her more than capable band, the Night Painters, Grant trilled her way through a set of songs that took surprising turns, cleverly blending country, pop and folk. But what really put this showing over the top was Grants candid charm and impressive East coast croon, which was as warm and inviting as a snug eiderdown in the middle of a Haligonian winter.